The combination of angle, height and contour adjustments create the best conditions for trunk support and stability. Available in Standard and high version. Easy to adjust. The rear wheels can be fitted in four positions in each hole. 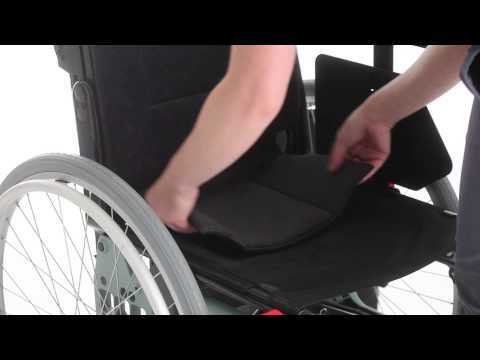 More settings both horizontally and vertically, ensures the perfect seat height and balance. Cross 5 has a very durable cross folding frame design with the stability of a rigid frame which ensures a long product life span and the best propulsion properties. Fitting a 20" rear wheel in the upper row, gives a seat height of 34 cm (13½"). Front seat height: 34–56.5 cm (13½"-22¼") Rear seat height: 34–53 cm (13½"-20¾") Back support height: 32–45 cm (12½"-17¾") with standard back support 3A. 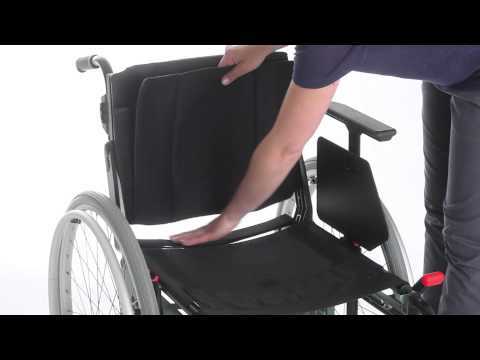 Back support 3A high: 38—51 cm (15"-20") Transport width: 32 cm (12½") Seat depth: Measured with 3A triangular back* Max user weight Cross 5: 135 kg. 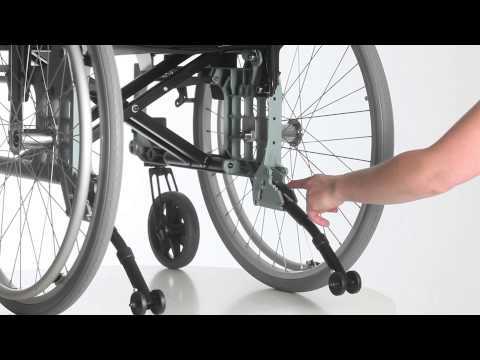 Weights and dimensions given are for a chair with 24" rear wheels with quick-release hubs, high pressure tire, aluminium handrims, leg supports, foot supports, brakes, arm supports, 6½" castors with medium forks. The measurements given may vary by +- 2%. Six velcro straps, the top one being wider and firmer. Height 38-51 cm (15"–20"). Hip and lumbar angle adjustments. Soft elasticated cover. Dark grey plush. With extra thick padding. Also available for high back. Dark grey plush. Hygiene cover for 3A back support. Material: Dartex. Water repellent, wipeable with wet cloth, washing 90° C.
Can be supplied with customized embroidery. Descrete design, detachable. Alternative push handles for 3A back support. Stabilizing cross brace. Fitted in the 3A profile. Foldable with snap lock. 30 cm (12") long. Soft wedge that attaches with velcro under the cover. Combine with side stop straight or with width extending. Upholstery: dark grey plush. Sold per piece. 15 cm (6") long. Soft wedge that attaches with velcro under the cover. Combine with side stop straight or with width extending. Upholstery: dark grey plush. Sold per piece. Adjustable in height and depth. 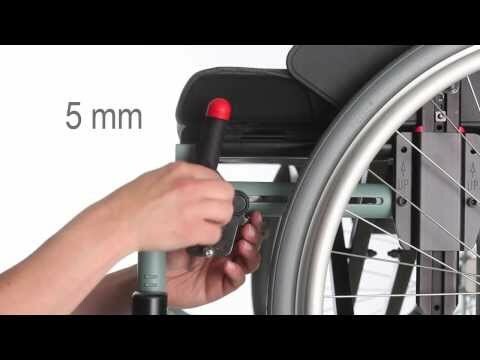 For body close fitting and space for free arm movement, the rod that holds the pad is available in four versions. Detachable without tools. Sold per piece. Adjustable in height and depth. No conflict with arm supports thanks to the rear fitted hinge. 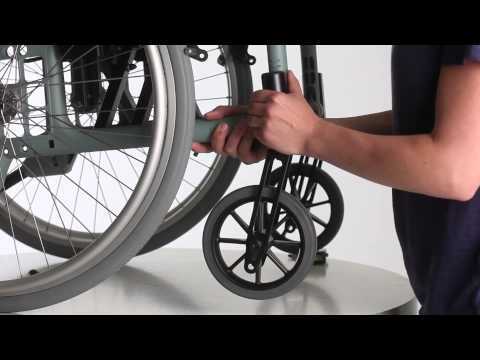 For body close fitting and space for free arm movement, the rod that holds the pad is available in three versions. Sold per piece. Soft padding. Adjustable in height and depth. Two optional width positions. Cover: Dartex. Trunk support with large pad in PUR. Adjustable in height, depth and length. Can be mounted on both right and left side. Detachable. 11 cm (4 ¼”) height. Medium sized pad, height 6.5 cm (2 ½”). Large pad, height 9 cm (3½”). Adjustable in height and length. For a body close setting, without interfering with the user´s arm movement. Straight, with inward bend 1.5 cm (½") or 4.5 cm (1¾") or outward bend 1.5 cm (½"). Embracing support. Rotate to choose between two different shapes. Height: 29 cm (11½"), Depth: 15 cm (6"). Supported by the arm support and/or side stop straight. Sold per piece. Combine with wedges or side cushion. Height adjustable. Sold per piece. Extends width by 1.5 cm (½") per side. Combine with wedges. Sold per piece. Extends width by 3 cm (1") per side. Combine with wedges and larger cover. Sold per piece. Padded with cold foam or gel, detachable. Available in short 25 cm (9¾") or long 38 cm (15") model. Cover in dark grey plush or black Dartex. 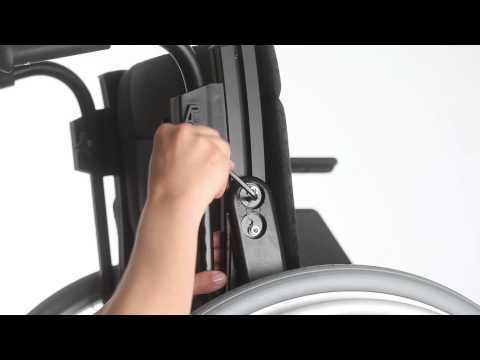 Adjustable in angle, the height is set with the arm support adjustment. Fitted onto the long arm support. Padded detachable cover in dark grey plush. 2 models; for moulded and detachable plate. Detachable and adjustable in height. To be mounted on existing arm support. Available in short (50 cm/19 ¾") and long (57 cm/22 ½") model. Softpad in cell polyethene. 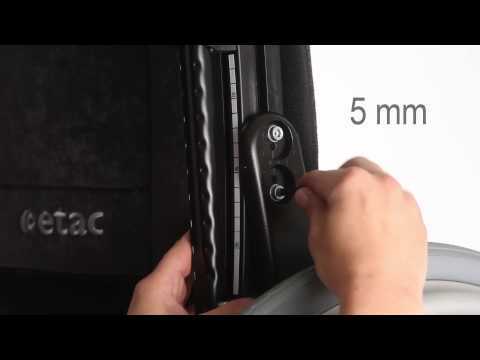 Attaches to the support with Velcro. Black. Detachable and swing-away. Also available with locking device. Brings the foot support 5 cm (2") closer to the frame. Can only be used with 4"or 5" castors. Also available in a short version and with locking device. Combined with calf support. Adjustable in height, depth, angle and also side-ways. Leg support, cushion bracket and calf support are ordered separately. Calf support cover in soft plush. With flip up calf support adjustable in angle and height. Calf support in polyurethan. With foldable calf support adjustable in two different heights on the leg support pipe. Fits right and left side. For added comfort to foot support one-piece. Plush. Adjustable in height, depth and angle. Available in seat width 35 and 37.5 cm (13 ¾" and 14 ¾"). Removable. Soft and warm comfort, Velcro adjustment. Assembly on fixed or elevating leg support. Counteracts risk of tipping for amputee users and improves propelling qualities. Detachable and angle adjustable. Can be combined with Amputee support. Weight: 3 kg (6,6 lbs). 20", 22" or 24", as well as 24" lightweight rear wheel. Choose either solid or pneumatic wheels tyres. The lightweight wheels have high pressure pneumatic tubes. Fits the left or right sides of the chair. Cannot be combined with attendant brake. 4", 5", 6.5" or 8". Provides a larger gripping surface. Color: Red. The brake lever can be angled forward to facilitate sideways transfers. With reduced handle grip for persons with smaller hands. 75 mm (3") between handle grip and brake lever. 100 mm (3¾") between handle grip and brake lever. Detachable. Supplemented with suitable seat cushion. Low mounting. Accessory kit to fit the solid seat at the same height as the seat tubes. Anatomically shaped seat cushion. 56 cm (22") long, to be cut to the adjusted seat depth. Upholstery: dark grey plush and black Velor. With hygiene cover. Material: Dartex. Water repellent, wipeable with wet cloth, washing 90° C . Lenght 46 cm (18") (width 35-40 cm (13¾-15¾"), Lenght 50 cm (19¾") (width 42,5-60 cm (16¾-23¾"). Attached to the seat with Velcro. Increases seat depth by 7 cm (2¾"). Foldable, height, depth and angle- adjustable. Fits all seat heights. Increases the distance between the arm supports by 1 cm (½"). The total width also increases by 1 cm (½"). 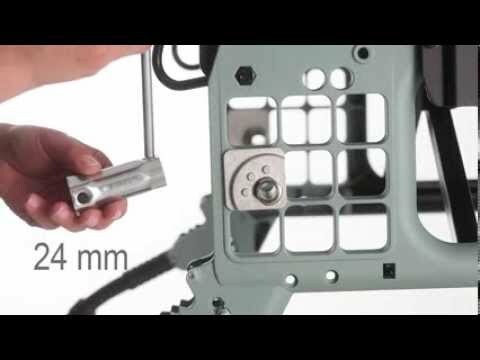 Moves the castor 3 cm (1¼") outwards. The chair's total width is not changed. For 4" and 5" castor. For extra low seat heights. Fastened to the arm support cushions (included) using Velcro. Fits both short and long arm support. Available for seats up to 50 cm (20") width. A non-slip mat is available as an extra option. Assembled on rod for head support. Provides extra seat contour. To be placed inside the seat cushion cover. Etac Cross 5 prescription form, clickable. Right click, download as pdf and open in Acrobat reader!